Why fight it? We are a family with two small kids. We have two cats. 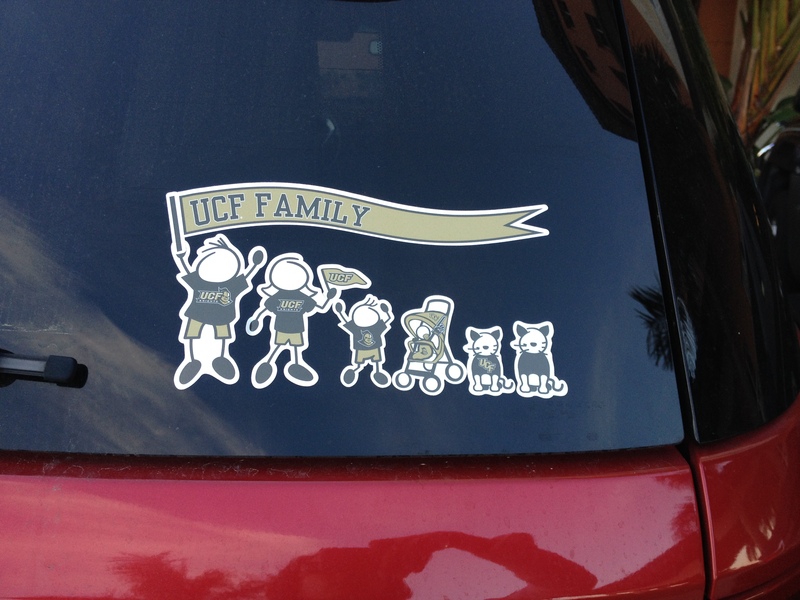 My husband is obsessed with UCF. 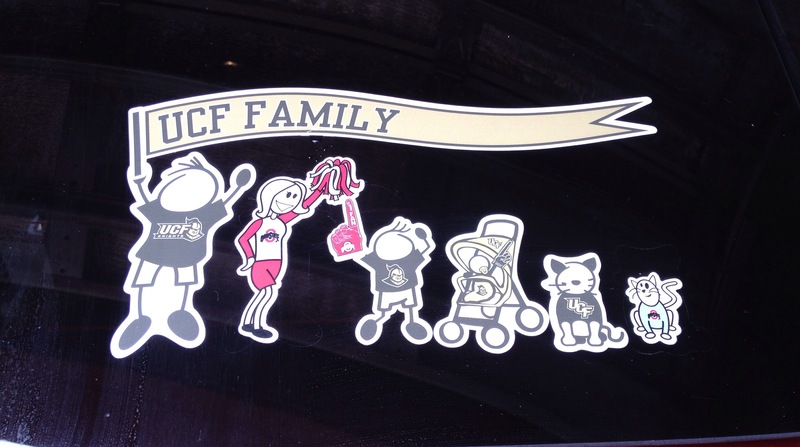 So I figured, why not fully embrace what it means to be in this phase of life and go ahead and put the equivalent of a tramp-stamp on my precious car. YOLO!!! Am I Right?!? !